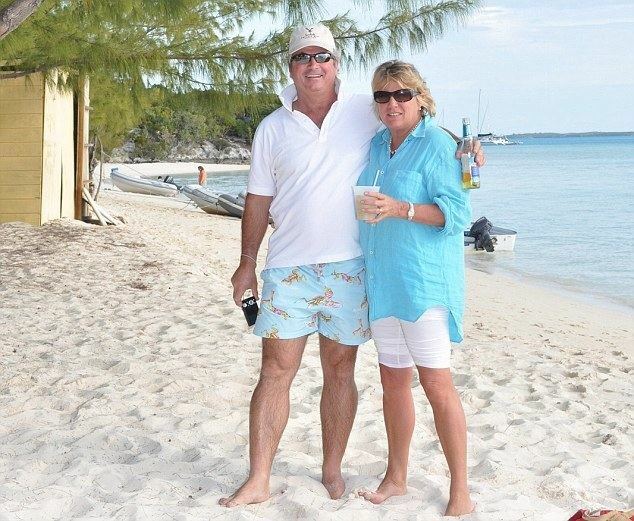 Allan Joseph Lamb (born 20 June 1954) is a former England cricketer and captain who played for the first class teams of Western Province and Northamptonshire. He joined Northamptonshire so he could enhance his career and eventually play Test cricket for England, as his native country South Africa were to be banned from International cricket due to the apartheid régime. He retired in 1995 at the age of 41 and currently works for Sky Sports and other TV cricketing broadcasts as an analyst. Allan Lamb was born to British parents in Langebaanweg, Union of South Africa. His father Mickey was a journeyman club bowler and his mother Joan was an ardent spectator who never willingly missed a match. He attended Wynberg Boys' High School and Abbots College where he played cricket to an 'outstanding' level. In January 1973, Allan made his first team debut at the age of 18 when he played for the Western Province in the Currie Cup. He batted at number three and made 59 and 36 against the Eastern Province. He then had a two-year absence from the game and joined the National Service in the South African Air Force building airfields before returning to the club. Western Province then experimented with Allan as an opener, at 5 and 6 but 4 was always his true and regular position in the batting order for Western Province. Lamb then had one year playing for Orange Free State, where he scored his highest first class score of 294, before moving back to the Western Province for the rest of his South African domestic career. Lamb came to England along with two young other cricketers, Peter Kirsten and Garth Le Roux, in search of fame and a county contract and it was Northamptonshire who signed Lamb as a relatively unknown overseas player in 1978. 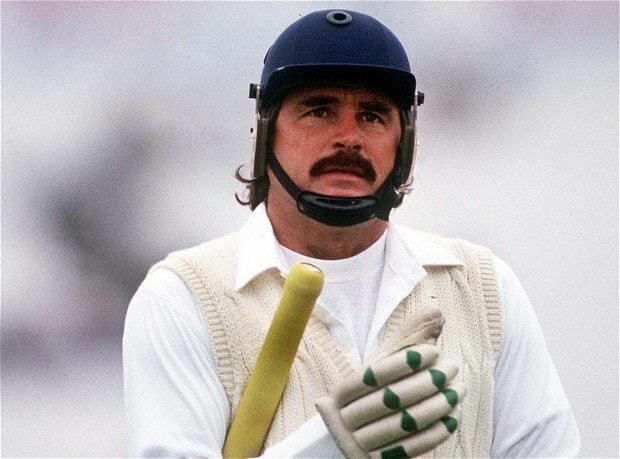 He went on to become a fixture in the side for 17 years, 13 as an England international, winning the 1980 Benson & Hedges Cup Final and the 1992 NatWest Trophy, and in his final season as captain in 1995 he very nearly took Northamptonshire to their first County Championship with 12 wins in their final 17 matches. In 2001, Northamptonshire honoured him by naming a room in the club's Indoor Centre 'The Allan Lamb Room'. In 1970, South Africa were banned from international cricket indefinitely because of its government's policy of apartheid, an overtly racist policy, which led them to play only against the white nations and field only white players. This prevented Lamb from playing International cricket unless he emigrated to another nation. It was while in England that he was persuaded to play for them, having already qualified through his British-born parents, and his obvious talent led him to be selected for the national team only four years after moving there. He made his test debut against India in 1982, and had also made his ODI debut a few days earlier. Lamb, who would go on to play a total of 201 international matches for England (79 Tests, 122 One-Day Internationals), was regarded as a fine player of fast bowling, but like a large number of South African-born batsmen he had a comparative weakness against spin, and his final average of 36 in Tests from over 4,500 runs did not do justice to his ability. Of his 14 Test hundreds, 6 of them came against the West Indies in 22 matches, when he came up against some of the game's finest fast bowlers from Joel Garner and Malcolm Marshall to Courtney Walsh, Curtly Ambrose and Ian Bishop. However, only one of those centuries, in Jamaica in 1990, was in a winning cause, the other 5 seeing England fall to defeat. Lamb was a member of two successful Ashes campaigns (in 1985 and 1986–87), but did not score a century in either series. In fact his sole Ashes century came at Headingley in 1989 in yet another losing cause. In 20 Ashes matches he scored 1138 runs at an average of over 34. He captained England in three Tests with disappointing results. Lamb had considerably more success as a One-day player, averaging a shade under 40 with over 4,000 runs and being one of only fifteen Englishmen to play in over 100 matches. 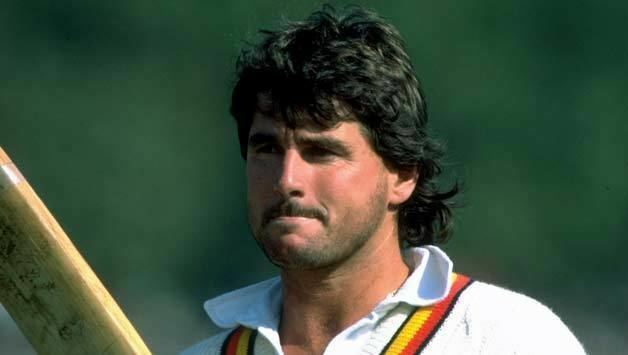 He played in two World Cup Finals in 1987 and 1992, but perhaps his most famous innings came in the 4th match of the 1987 Benson & Hedges World Series Cup against Australia, where England needed 17 runs to win off the final over to be bowled by Bruce Reid, who was a whole foot taller than him. Lamb hit Reid for 18 runs in 5 balls (2,4,6,2,4) to seal an improbable victory. That over would be the subject of a cheeky banner used for the next match between the two sides which read "Can Bruce Reid please call Allan Lamb on 24624". England, who had earlier won the Ashes and the four-nation Perth Challenge, would go on to round off their triumphant tour by winning the tournament, which also featured the West Indies. 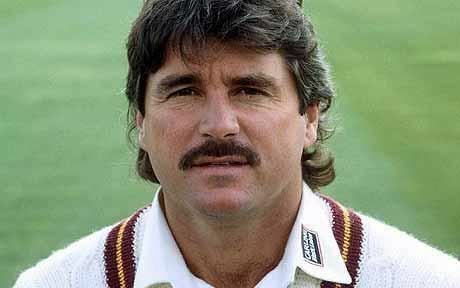 In 1992, during the ODI series against Pakistan, Lamb accused the Pakistani team of tampering with the cricket ball. Lamb was subsequently fined by the TCCB. Since retiring from all forms of cricket in 1995, Lamb has published his autobiography called Silence of the Lamb, which he released in 1996. He has also done a lot of television work including working on the British TV channels Sky Sports and Channel 5 as an analyst. He alongside Ian Botham, have teamed up with English Beef and Lamb Executive to create an advertising campaign for Quality Standard Beef and Lamb in which they use their names, 'Beefy' and 'Lamby' and cartoon characteristics as a selling point. He was also a contestant on a special Cricketers Edition of The Weakest Link, where he was voted off in the second round.